This video will be useful for you if you have built a Canvas course shell and now want to copy it into the live course you requested through myACU. 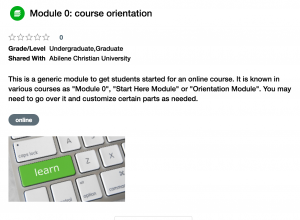 It’s official – Canvas is now the enterprise learning management system for Abilene Christian University. Canvas is built in such a way that it can effectively be used for both fully-online and face-to-face courses. 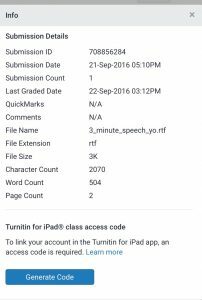 Tools such as SpeedGrader make grading and grading with a rubric simple. 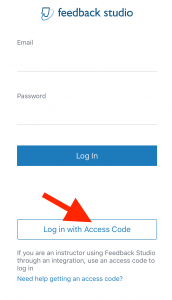 The gradebook itself is fully functional, enabling faculty to drop grades, weight grades, and a host of other sought-after features. 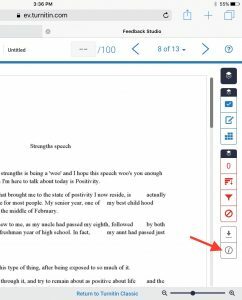 Canvas will not only make life easier for faculty, but also for students. Students will experience a consistent online platform for course delivery and interaction. 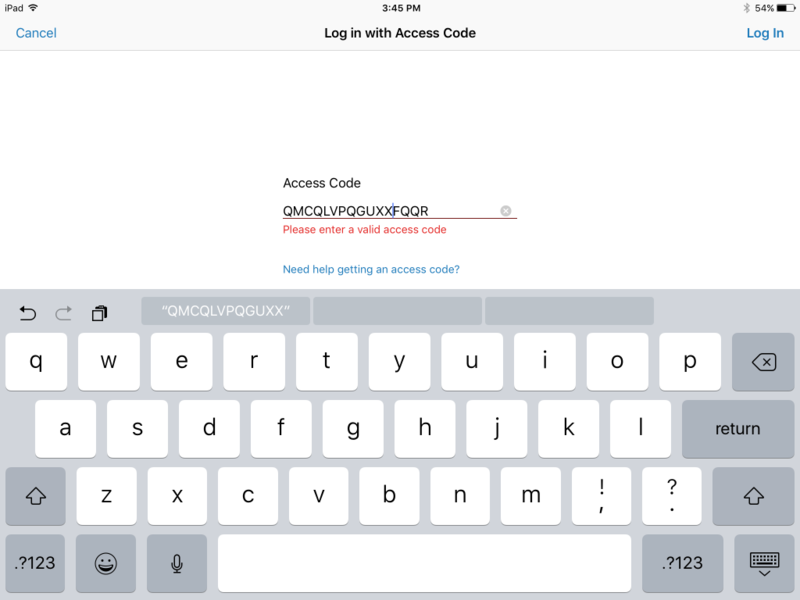 No longer will students lament that they are using 3 or 4 learning management systems. Using Canvas as a campus-wide solution will remove many of the undesirable difficulties encountered by students who have to determine what system to use for what class, and will enable faculty to focus them on desirable difficulties inherent to learning. This process will be gradual. A pilot group is formed and will use Canvas this Spring semester, with campus-wide implementation set for Fall 2015. Canvas offers a wealth of learning guides online. Go to https://guides.instructure.com to get started. Local training on using Canvas will be offered at various times in the upcoming months, so be sure to watch the Adams Center calendar for a time that works for you. In an interview (June 20, 2014) by Bloomberg TV, ventures capitalist Rory Stirling claimed that education will be changed “beyond recognition” by big data in the next ten years. Big data can change admissions, budgeting, marketing, student services to ensure that university resources go where they are most needed. Large amount of data is now collected with the use of personal technologies. It is especially popular in electronic governance, online commerce, and banking. “Big data”, or data in general, should also be a driver for change in the design of learning experiences. Data will help us to see patterns which then could lead to instructional improvement or innovations, which in turn will help with the advance of learning. 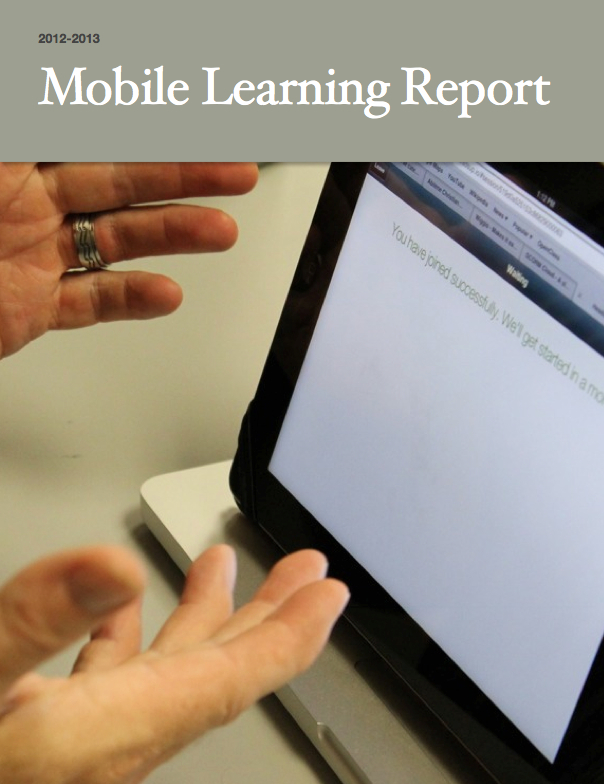 With the ubiquitous uses of mobile devices and learning management systems, it is now possible to gather student data to enlighten educators about the learning processes as well as the learning outcomes. Technology enables educators to check such data as access frequency, page view information, click history, and time spent on particular tasks. Such data can be a rich mine for educators to find out how they are doing and where improvements can be made. Some data may be simple, yet useful. For instance, teachers in online programs have found from user analytics that many adult students with jobs access their courses before 8 o’clock in the morning or after 5 in the afternoon. With such knowledge, teachers will set the release time to be, say, four in the morning, which would allow early risers extra time to work on their learning tasks. When group collaborations are involved, most people tend to “hang out” later in the evening. Such data, simple and beautiful, would provide opportunity for instructional interventions. It is also possible to use technology tools to understand when student access certain information, how they access it, for how long at a time, and how that relates to learning outcomes. Such data can be used to optimize teaching for future semesters, if not during the rest of the semester. Teachers can also use test statistics to find out student familiarity with content. If more than half of the class have chosen the wrong answers for a particular question, it would be wise to go over certain content again to make sure that all students, or the great majority of them in class, achieve mastery. 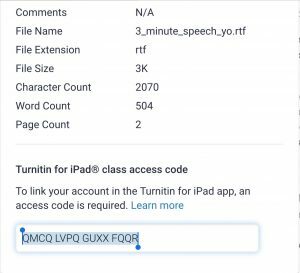 Services such as Turnitin have accumulated a large and ever-expanding database of writing, which can be used to check plagiarism and understand other kinds of writing behavior. Teachers should also be able to use data to individualize learning to really implement individualized learning. With rich data from students, and the technology for branched learning, it is now possible to custom-make the teaching experience for different students without having to involve teachers in the logistics of managing it, since most branching will be done automatically through selective release mechanisms. Data or big data may seem to be realms for information technology professionals, instead of teachers and administrators. As a matter of fact, gathering data does not have to be prohibitively “high-tech”. Low-tech methods such as using cards marked with A,B,C or D in the classroom, or paper surveys, can also help us gather useful data to understand what is going on in student minds. That being said, teachers and administrators should make improvements in their ability to make data-driven decisions instead of shooting in the dark. Educators’ skill portfolio should include the abilities to capture, read, analyze, communicate and utilize data. In the meantime, it is necessary to develop talent who can bridge the skill gap when deeper data management expertise is required. 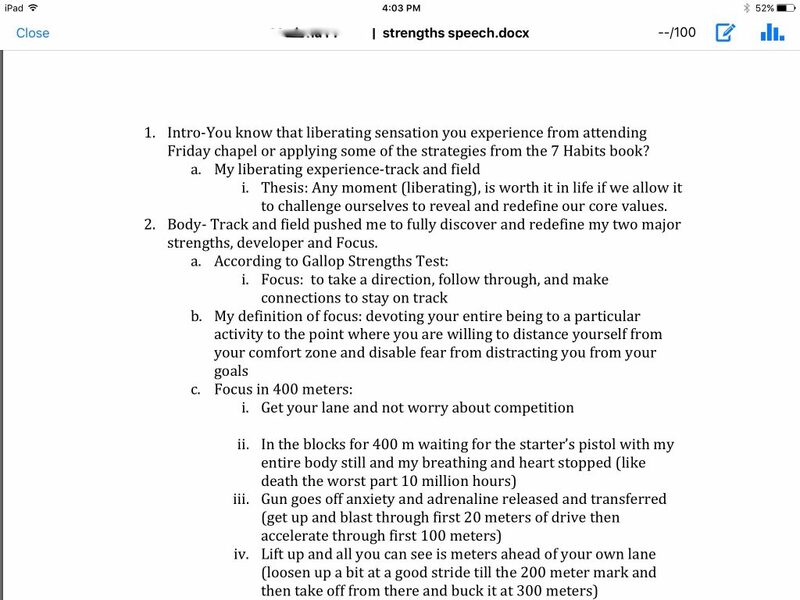 4:45-5:00 Wrap Up (Strengths Quest): What Do You Need? On August 13-15, 2012, the Adams Center will host New Faculty Orientation for new ACU faculty members and their assigned mentors. During this time, we would like to welcome new faculty to our campus and provide you with relevant information concerning your new position. Continental breakfast and lunch will be provided on the 13th and 14th, with a special luncheon on Wednesday, the 14th (spouses are welcome to this luncheon). Thursday, the 15th will be devoted to an information session with Human Resources, in which you will learn valuable insight into the ACU culture, HR web resources, and benefits. Schedules, RSVP forms, and other information forms will be available shortly. Please contact Penny Ruot, Executive Assistant at the Adams Center, or Dr. Jennifer Shewmaker, Director of Faculty Enrichment, if you have any questions regarding NFO. On August 6th, 7th, 9th, and 10th, Sally Sanchez will be hosting course development workshops for faculty constructing online courses for Summer 2013. Each of the workshops will last two days, and lunch will be provided for all participants. For more information, contact Sally Sanchez at the Adams Center.